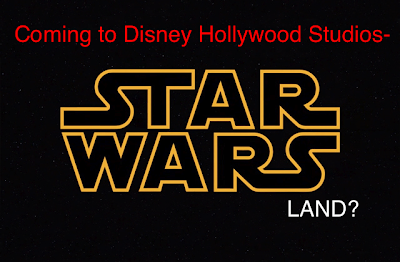 InSanity lurks Inside: Disney Hollywood Studios- Yup, Star Wars is Coming..
Disney Hollywood Studios- Yup, Star Wars is Coming..
Well outside of a massive press release, this is about as much conformation as we can get. On Sunday- November 10th Bob Iger, the talking-head in charge of the Walt Disney Company stated this bit to Bloomberg. "There is a fair amount of development going on at Disney Imagineering right now to expand the Star Wars Presence in Disneyland and Walt Disney World and eventually other Disney theme parks around the world". Simply that Disney Hollywood Studios will change massively. 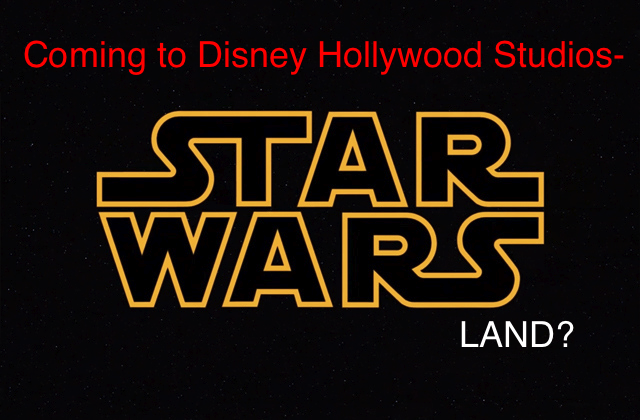 In the past we've speculated about the topic of both Star Wars Land and a Cars Land coming to Hollywood Studios and we suspect we know where this will take place. However, without a full press release we can't tell you if we're right or not. We also now believe this massive change will effect Disneyland also, although where they plan to stuff this in.. I can't tell you till March! Never Fear, I'll either find out or make my own guesses! It's an educated guessing game. If you'd like to take a look into the past when we've talked about this topic, check this post from June: Rumor Alert- Star Wars Land coming to DHS? Inside you'll find maps and various speculation about where I personally suspect the changes will happen.. but again, that's just my guess. My Early Guess- This will happen sometime near after the opening of the train wreck new movie in 2015. So likely Disneyland in 2016 and Disney World in 2017. Information from the cool folks over at Disney and More!